When did it become extinct? This elephant became extinct around 10,000 years ago. Where did it live? 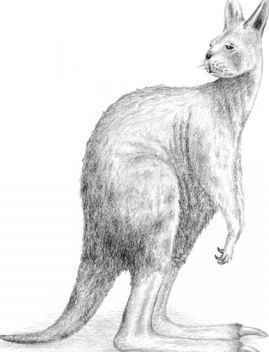 This animal was endemic to some of the Mediterranean islands and many remains have been found in Sicily. Today, the multitude of islands that dot the Mediterranean are where many Europeans choose to spend their summer vacations. Long before these islands became destinations for vacationers, they played host to various key events in human history. Some of the earliest civilizations had their beginnings on these islands, but if we travel even further back, to a time before modern humans started to leave Africa, these islands supported their own endemic animals, almost all of which are sadly extinct. Sicily is one of the more well known Mediterranean islands, important throughout antiquity because of its strategic location. Up until around 11,000 years ago, Sicily was free of humans, and a number of mammals had taken up residence on the island and evolved into distinct species. One of the most bizarre inhabitants of the prehistoric Sicily was the dwarf elephant. As with all terrestrial island mammals, we can never be sure how the ancestors of the dwarf elephant reached Sicily, but they could have swam or crossed via a temporary land bridge that was revealed when sea levels were much lower. Elephants will take to the water without hesitation, and they can even use their long trunk as a snorkel (there are many reliable reports of Indian elephants, Elephas maximus, being sighted several kilometers out at sea). 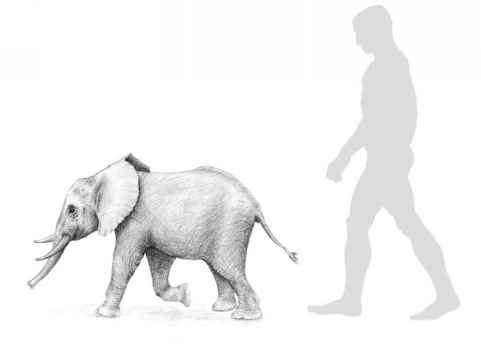 It is thought that the dwarf elephant evolved from the straight-tusked elephant (Elephas antiquus), an inhabitant of Europe up until around 11,500 years ago. Searching for new areas of habitat, the elephants took to the water or crossed a land bridge, eventually reaching Sicily. Even though Sicily is one of the largest islands in the Mediterranean, it is a small landmass, and a straight-tusked elephant, at around 10 tonnes, is a huge animal with a big appetite. Living, fully grown elephants require about 200 kg of food every day to survive. This can be sustained on the mainland, where the animals can move to new areas of habitat, but the vegetation on an isolated landmass would quickly be exhausted by the immense appetites of these creatures. To adapt to life on their new island, something strange happened to the straight-tusked elephants: they began to shrink. Generation after generation, the elephants diminished in size to adapt to the limited food resources on Sicily. This phenomenon is known as the island rule, and it can be seen all over the world, wherever animals take up residence on isolated islands. The shrinkage of the Sicilian elephants is identical to what happened to the hominids who made it to Flores in Indonesia (see the entry "Flores Human" in chapter 6). It is impossible to say how long the dwarfing process took, but it was probably very quick in evolutionary terms as failure to adapt to new surroundings swiftly leads to extinction. After thousands of years of gradual shrinkage, the Sicilian elephant was a fraction of the size of its ancestors. In life, it probably weighed around 100 kg, about 1 percent the size of a large straight-tusked elephant. Although food is a limiting factor on small islands that can lead to dwarfing, the lack of predators and competition are also important. Large size is an excellent defense against predators, but on Sicily, where predators were notable by their absence, there was no advantage in being big. Large size can evolve in a species due to competition because in some ways, a larger body is more efficient than a small one. In the absence of this pressure, the species may shrink as a lot of resources and time are needed to grow to a large size. Exactly how these tiny, extinct elephants lived will never be known, but an animal only slightly heavier than a pig had quite a different life than its enormous ancestors. Straight-tusked elephants on the mainland were able to feed on tree leaves and other lofty plant matter, even uprooting whole trees they liked the look of, but the Sicilian dwarf may have fed on low-growing vegetation, perhaps using its trunk to bring low-growing vegetation within reach of its mouth. Bushes and low-growing plants, such as grasses, probably featured prominently in the diet of this Mediterranean dwarf. Elephant digestion is very inefficient, and around 60 percent of all food leaves the gut of these animals undigested. Even though the dwarf elephant was only a fraction of the size of its ancestor, it may still have needed several kilograms of food every day. If this was the case, such feeding demands on an island that had not previously known any large herbivores must have had a huge effect. The feeding activities of the elephants and the damage they caused as they were trudging around the island may have reshaped the whole ecosystem of Sicily. It is possible that the number and diversity of plants on the island probably underwent dramatic changes as the elephant population grew to its maximum. Some plants may have suffered due to disturbance and elephant feeding, whereas others may have benefited from an increase in glades and other open areas and the valuable influx of nutrients that large herbivore dung provides. The dwarf elephants survived on Sicily for hundreds of thousands of years, but like the straight-tusked elephants before them, humans on the mainland were searching for new places to live. They, too, set off across the Mediterranean, in boats and traversing land bridges, hoping to find new lands. They found Sicily and its dwarf elephants around 11,000 years ago. Because the dwarf elephants had been isolated for so long, they lacked the innate fear of humans possessed by most mammals. Elephants are curious, intelligent creatures, and they probably investigated the first humans they saw. A 100-kg animal could feed a tribe of hungry humans for many, many days, and the dwarf elephant's lack of fear made it very easy to hunt. Sicily could have supported no more than a few hundred dwarf elephants, and this small population was probably wiped out in a few decades. ♦ The islands of the Mediterranean are part of the continental crust, rather than being created relatively recently by volcanic activity. Therefore they have been around for a long time—isolated outposts in the azure waters of the Mediterranean. ♦ The migration of straight-tusked elephants to Sicily was not an isolated event. Many islands in the Mediterranean had their own species of dwarf elephant, which descended from the big, straight-tusked elephant that swam across from the mainland or traversed a temporary land bridge or series of small islands. The Cypriot dwarf elephant (Elephas cypriotesi) was about twice the size of the Sicilian species, but it was still very much smaller than its ancestors. Further Reading: Masseti, M. "Did Endemic Dwarf Elephants Survive on Mediterranean Islands up to Protohistorical Times?" In The World of Elephants—International Congress, 402-6. Rome, 2001; Palombo, M. "Endemic Elephants of the Mediterranean Islands: Knowledge, Problems and Perspectives." In The World of Elephants—International Congress, 486-91. Rome, 2001; Masseti, M., and M. R. Palombo. "How Can Endemic Proboscideans Help Us Understand the 'Island Rule'? A Case Study of Mediterranean Islands." Quaternary International 169/170 (2007): 105-24. When did the dwarf elephant became extinct? Are there any dwarf elephants still in the world? Did endemic dwarf elephants survive? Where did dwarf elephants live? Did dwarf elephants evolve or migrate to islands? Is a dwarf elephant real? Why did small elephants go extinct?